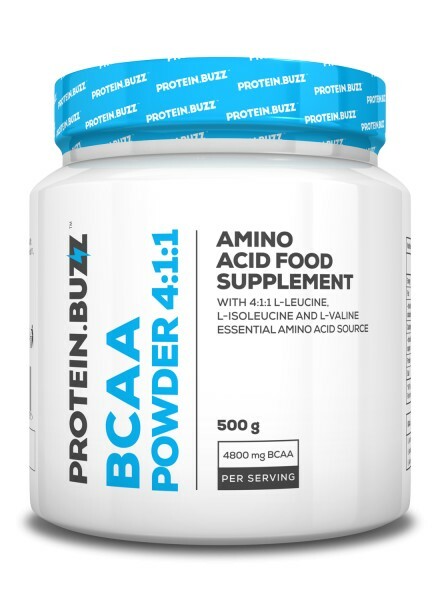 Produktinformationen "Protein.buzz BCAA Powder 4:1:1 500g"
Branched-chain amino acids (BCAAs) are regarded protein derivatives. Protein contributes to muscle mass growth and maintenance. BCAAs account for over 35% of all essential amino acids in muscle proteins. 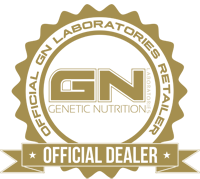 The product comprises a special blend of these amino acids, with a four-time increased ratio of L-leucine. By replenishing the BCAA essential amino acid source every three hours or taking it before or during intense physical workout it provides excellent support for your muscles. The unflavoured powder is easier to combine with other products, as it can be easily mixed with other supplements such as mass gainers or isotonic products. Weiterführende Links zu "Protein.buzz BCAA Powder 4:1:1 500g"
Kundenbewertungen für "Protein.buzz BCAA Powder 4:1:1 500g"